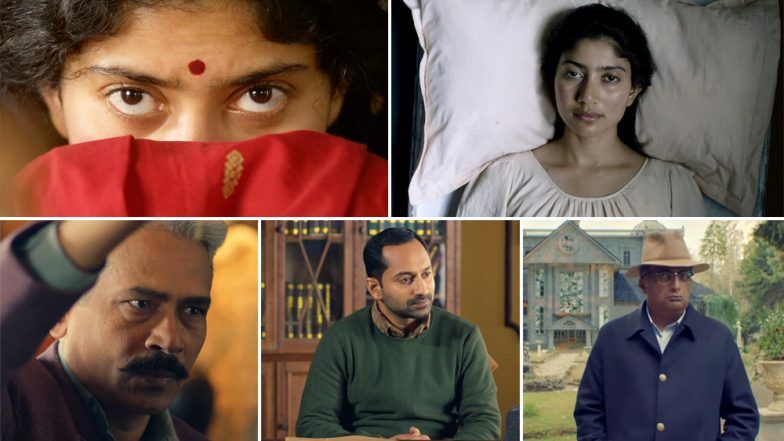 Fahadh Faasil has been continuing his rollicking form as an actor in 2019, with two great performances in Kumblangi Nights and Super Deluxe. In Kumblangi Nights, he played a chauvinist whole malicious nature is hidden behind a smiling facade. In Tamil film Super Deluxe, he played a hassled husband who, along with his wife, tries to fix the dead body of her lover. Now Fahadh is returning to Malayalam cinema, this Vishu, with Athiran, that has him deal with some spooky elements. At least that's what the trailer wants us to believe. Madhura Raja vs Athiran: Mammootty’s Film to CLASH With Fahadh Faasil-Sai Pallavi Starrer on This Vishu 2019? Directed by Vivek, Athiran pairs up Fahadh Faasil and Sai Pallavi for the first time. The movie is about how Fahadh's character comes to a quaint psychiatric facility in the countryside and how the people there react to his presence. Not just the employees, the doctors and the patients there, even the protagonist himself feels like a weird character. The most mystifying is Sai Pallavi's character, who at times, acts as a possessed woman and at times, is shown as a kalari expert. The manner in which some scenes are portrayed and the characters behave reminds us of the cult thriller, Get Out. Also, some of the camera angles and picturisation reminded us of Stanley Kubrick's The Shining. Athiran: Fahadh Faasil and Sai Pallavi's Thriller Censored With U Certificate. Athiran also stars Shanti Krishna, Atul Kulkarni, Renji Panicker, Surabhi Lakshmi, Sudev Nair, Nandu, Lena and Prakash Raj. The movie will release on April 12, where it will clash with Mammootty's Madhura Raja.